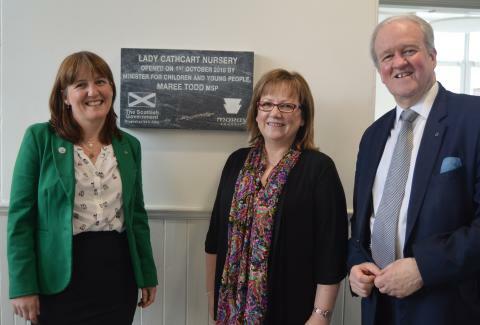 Moray’s newest local authority nursery, Lady Cathcart in Buckie, has officially been opened by Minister for Children and Young People, Maree Todd MSP. 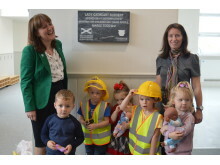 In front of parents and invited guests from the local community Ms Todd unveiled a plaque for the occasion after meeting the children in the nursery and receiving a guided tour by nursery staff. Children then presented Ms Todd with flowers to thank her. "We are committed to giving children growing up in Scotland the best start in life, and part of that is taking forward this work to deliver a transformational increase in early learning and childcare, providing around 750 new, extended or refurbished nurseries like this one. "I'm delighted to open this new and inspiring space for up to 50 children, who will receive a high quality experience within this fantastic indoor and outdoor space." “Now that the children have settled so well into their new nursery it’s been fantastic to officially open the doors to Lady Cathcart. 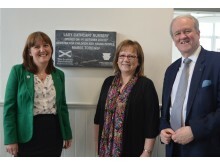 Having the Minister with us today was exciting for the children, who were obviously keen to show off their nursery to her, and this fabulous facility reinforces the commitment to quality early learning and childcare from Moray Council. 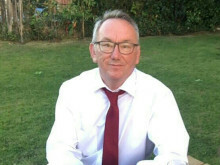 “With up to 50 places available at Lady Cathcart, and some other nurseries in the area operating a waiting list, we know it will be a welcome boost to early learning and childcare places in Buckie. I look forward to seeing this nursery grow and flourish like the others here and to seeing what other developments the expansion brings to the whole of Moray”. Lady Cathcart Nursery is the first to open in Moray under the Scottish Government funded early learning and childcare expansion and has undergone a £672,000 refurbishment to bring it up to standard including the installation of new changing facilities, development of a family room and specialist provision for children with additional support needs. The ELC expansion is being phased in until all three and four year olds, and eligible two year olds, in Moray are entitled to receive 1140 hours of funded ELC a year by 2020. 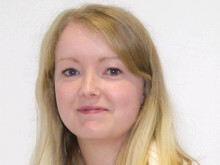 Lady Cathcart forms part of phase one of the fully funded expansion and paves the way for other refurbishments detailed in Moray Council’s ELC Delivery Plan published earlier this year.